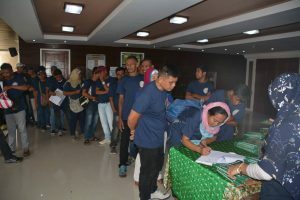 From the Fourteen towns of the Province of Maguindanao, almost Four Hundred Student farmers festively received their credentials or proof of evidence as graduates as they received their certificates in the conducted Mass Graduation in School-On-The-Air on Proper Operation and Maintenance of Rice Mechanization and Equipment in support to Rice Program last Wednesday, first day of August 2018 at Shariff kabunsuan Cultural Complex, ORG Compound, Cotabato City. 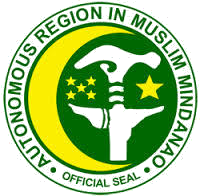 According to DAF-ARMM Regional Secretary Alexander G. Alonto Jr., the said SOA was the 7th SOA conducted under his term as secretary, accordingly he never imagine that for almost three years of his term he can promote and successfully conducted 7 School-On-The-Air. 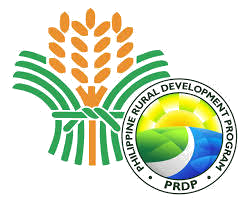 One of the aims of the said SOA was to promote the status of rice trade and post-production process and ease work activity and lessen the grain losses of farming. 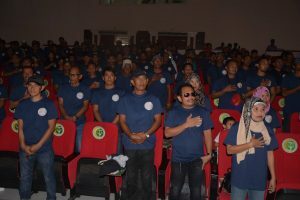 The courses last for about four months from April 12 to July 5, 2018 aired in RMN-DXMY every Thursday 5:30-6:00 pm. 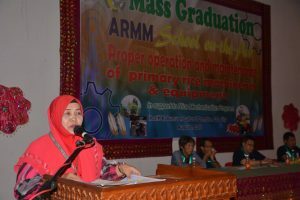 The SOA was made possible through the untiring efforts of farmcasters of DAF-ARMM and DA-Maguindanao headed by lead anchor Dr. Kadiguia R. Abdullah with the strong support of secretary Alonto and from the different Resource speakers like Municipal Agriculture Officer Dr. Daud K. Lagasi Alhaj, Rice Alternate Focal Person Edna Bajao, Municipal Agriculture Officer Dr. Modrika Masukat and Area Coordinator of Phil Mech Engr. 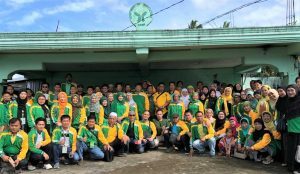 Yasser Butokan. 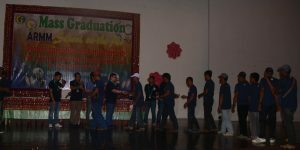 The said program arise the activity firstly in Techno Forum headed by Dr. Ronjamin Maulana and Engr. 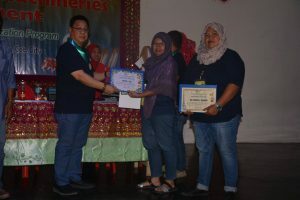 Yasser Butokan, while OIC Provincial Information Officer Reimah Y. Sandigan and RAFID staff Nesrin S. Talib managed the quiz bee. 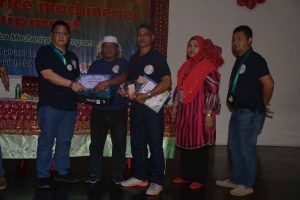 Some of the farmers luckily, received prizes as a reward for their active participation, among the prizes were radio, toolbox and tools where they can be use to repair their farm machineries. 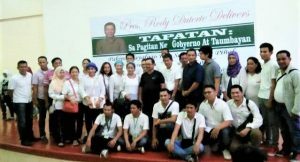 After the test gathered, two towns beheads the quiz bee among were Datu Hoffer with representative Akmad M. Amba and Muhalidin Kasim from Talayan. 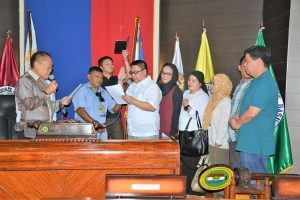 Rahib Mamaluba of Mamasapano got the second place while DOS with representative Datukon Acob and Zalika Kabalo from Datu Piang got the third place, Mohidin Tungao from Datu Saudi Ampatuan was the fourth place and Mando I. Malasigan got the fifth place. 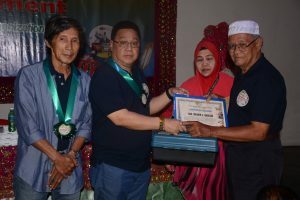 Along with, other representative of the said quiz bee were also received consolation prize like Nasser Sambad of Ampatuan, Kahl Ibrahim of Barira, Asghari Guiapal of Datu Unsay, Andamen Sabdullah of Guindulungan, Daud Unos of Northern Kabuntalan, Rowaida Z. Kado of Shariff Aguak, H. Salik G. Warao of Sultan Kudarat and Edgardo De Vera of Upi. 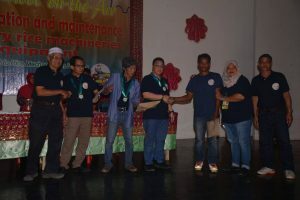 Other recognition award received by Municipal Agriculture Officer of Guindulungan as active respondent, MAO Baimon K. Alik of Datu Unsay as Best Facilitator and MAO Guiapar Esmail of Sultan Kudarat as Early Bird. 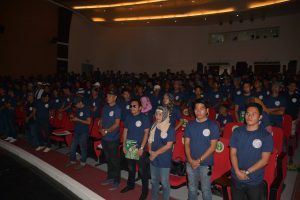 Secretary Alonto gratefully accepted the farmer graduates and award certificate of recognition after RAFID chief Dr. Kadiguia R. Abdullah presented them. 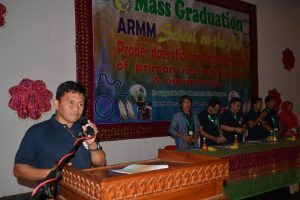 The five testimonies from the farmer graduates and facilitators thanks the management for conducting the SOA program and some of them requested the management for the provision of farm machineries and equipment in the future. 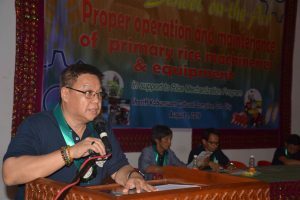 Provincial Chief of Operation Dr. Ronjamin M. Maulana, in his message said that the SOA helps a lot to farmers especially to those farmers live in the remote area and cannot avail services. 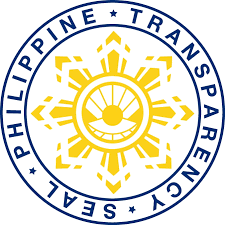 He also expressed his grateful thanks to Secretary Alonto for supporting all SOAs program. 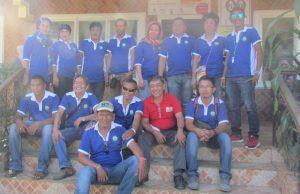 He pointed out to farmers that all the knowledge acquired must be shared and used.